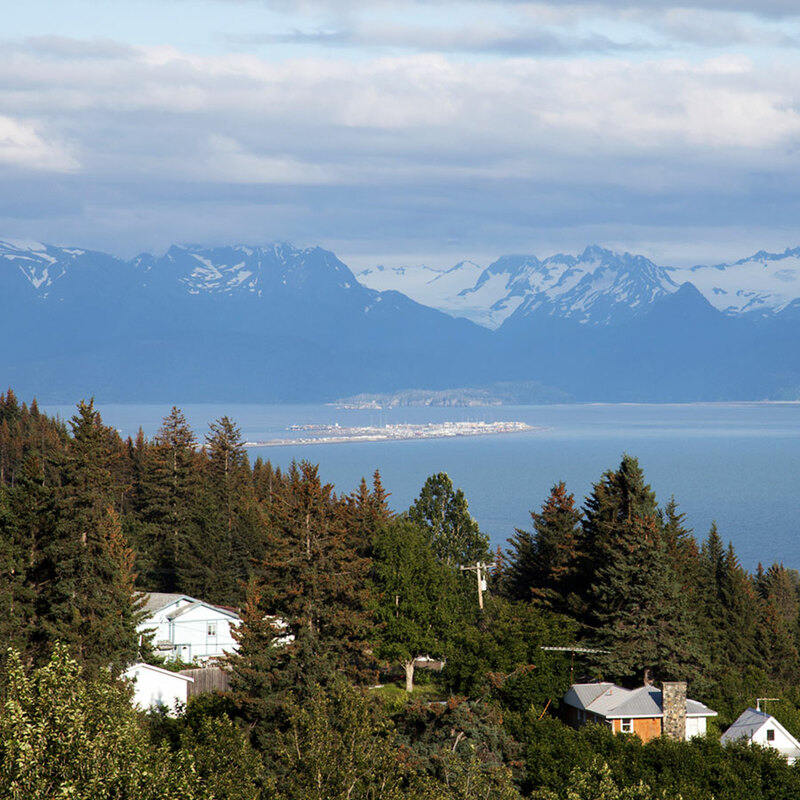 There's more to Alaska's Kenai Peninsula than Seward, although that town is in the running for our favorite we've ever visited. 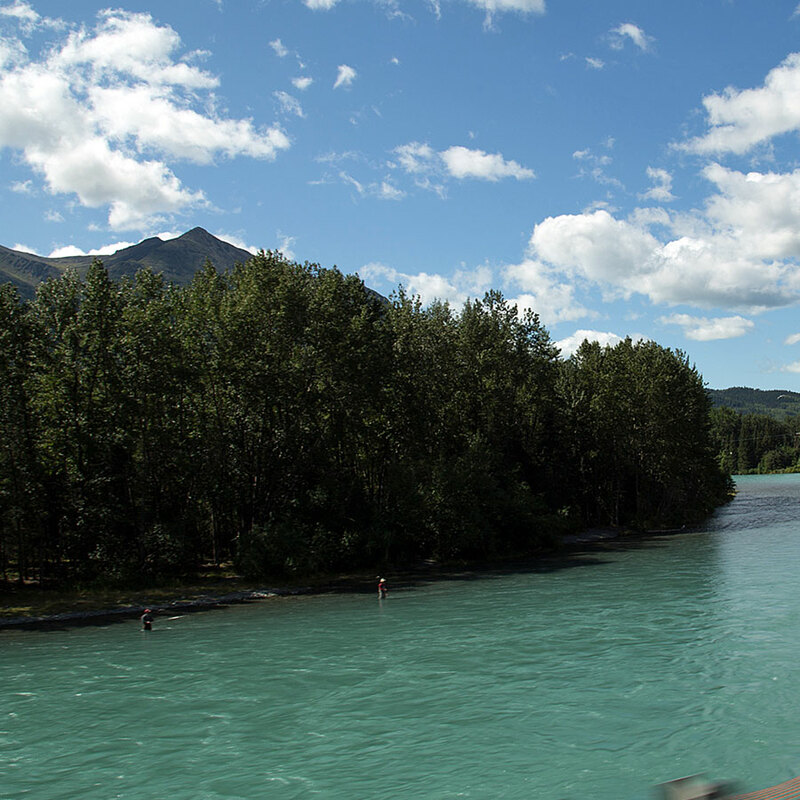 The western part of the peninsula is accessible via the Sterling Highway, which travels alongside the vivid Kenai River through the town of Cooper Landing to Soldotna. This color is real, folks! 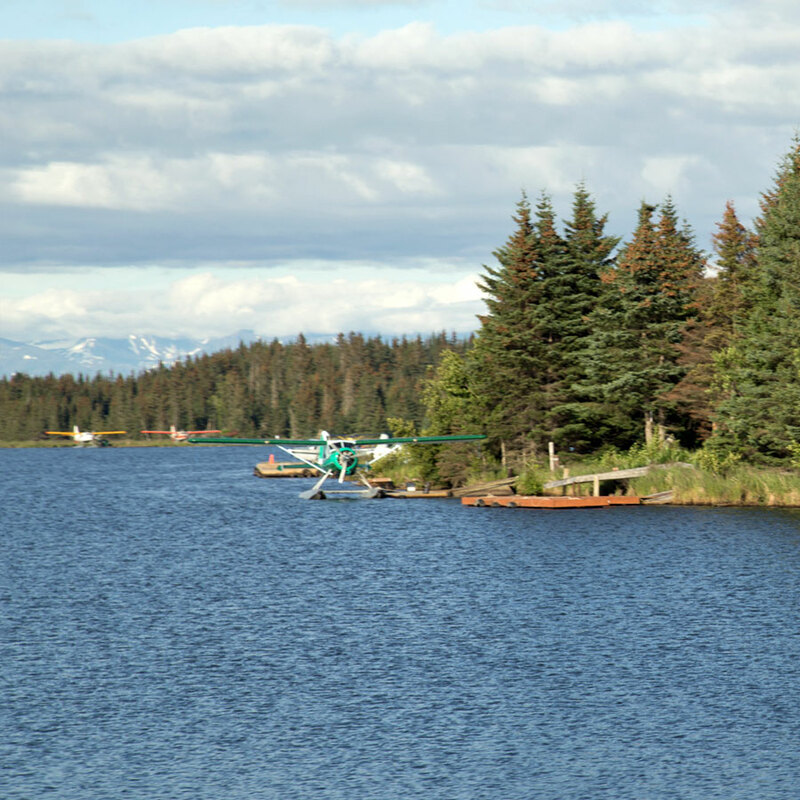 We stayed in Soldotna at the Centennial Campground for one week where Josh fished, Marie cooked said fish, and we hung out with friends. The rate was $25/night for no hookups with an additional charge for dumping. There was a free dump station at the Fred Meyer, which we used upon arriving in town, but within just a few days the whole town was overrun with eager anglers arriving for the salmon run. Traffic in the town got to (this is no joking matter) Houston, Texas-levels, and the campground literally started to overflow. So when we couldn't stand the crowds anymore, we decided to take a day trip to Homer. On the way, we stopped at Clam Gulch State Recreation Area, where a short hike led to a beach with boulders twice the height of a person. 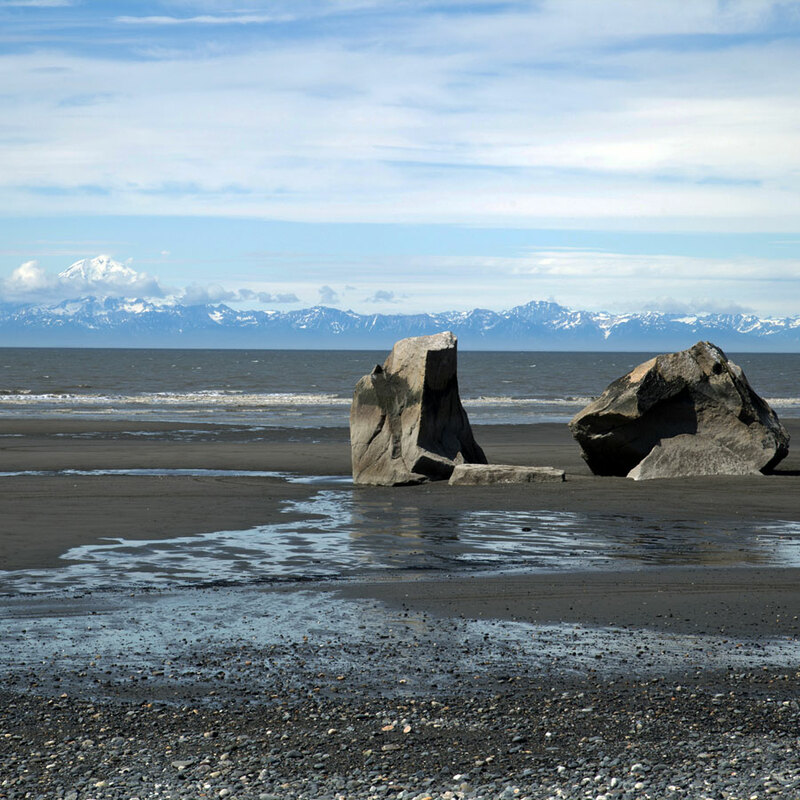 We practically had the place to ourselves, so we took some time to let Gabby explore and take in the view of the Aleutian Mountains across Cook Inlet. 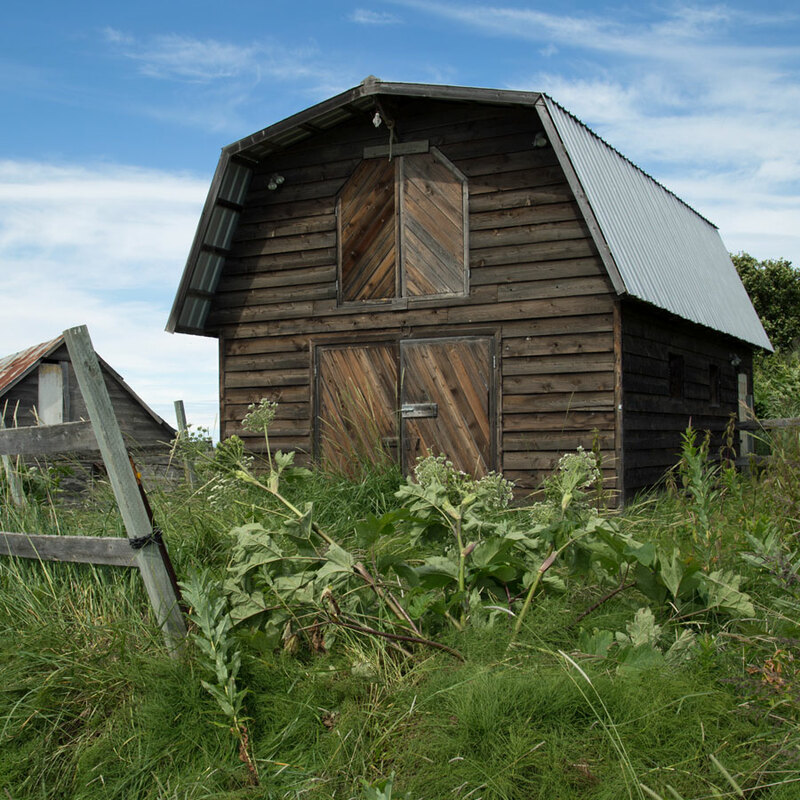 Our next stop was the historic Russian town of Ninilchik. Here, we walked the streets and visited the harbor; it became like a compulsion to say, "This place is so cute!" 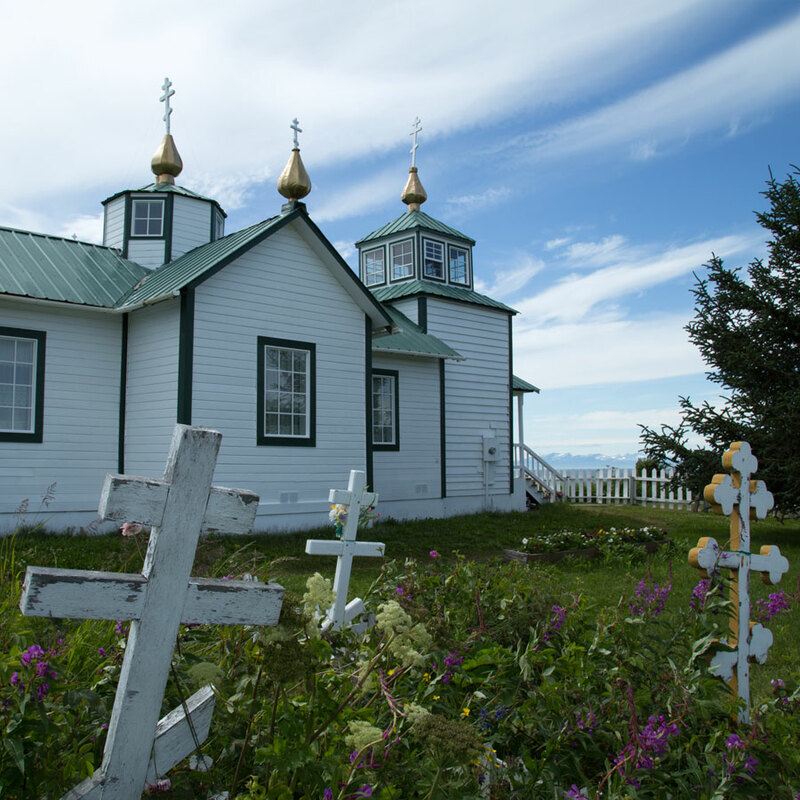 I had read about a Russian church on the hillside overlooking the town. As it was only accessible via hiking trail, I took off to check it out. Award for most scenic graveyard ever? The hike didn't disappoint, and the views of the town from the top were really great, too. 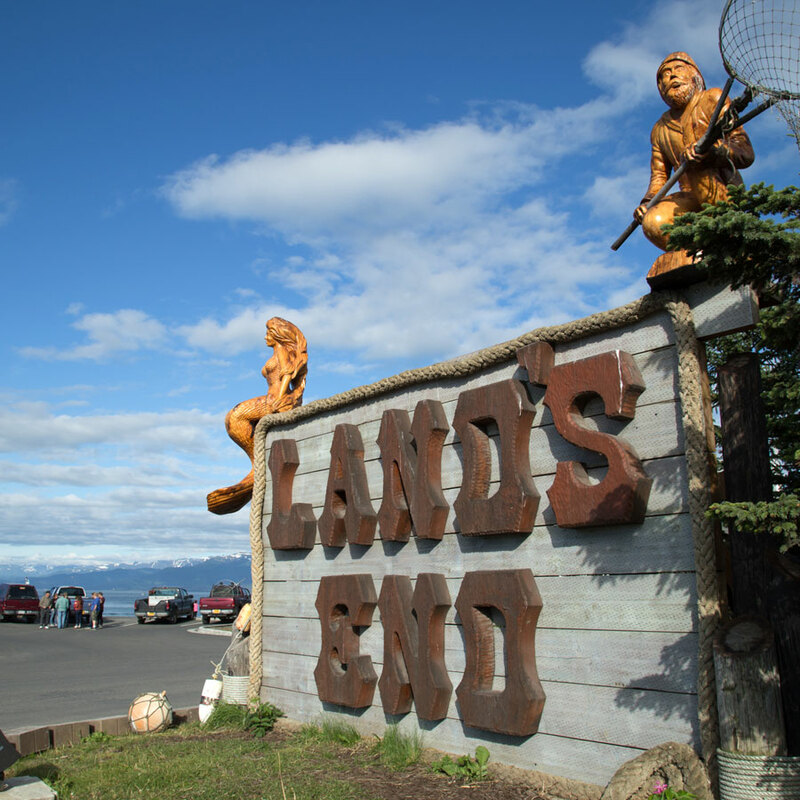 37 miles later, we reached the city limits of Homer and stopped at an overlook to check out the city's most famous feature: the Homer Spit, a 5-mile stretch of land that juts out into the Inlet. 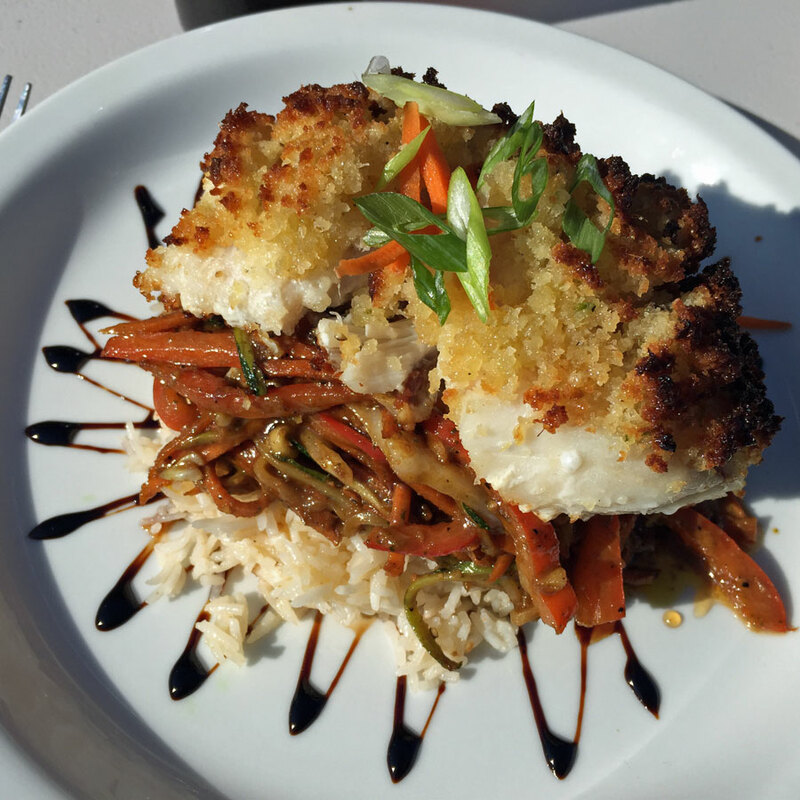 We met up with Kristin and Jason (The Snowmads) and Jeanette and Eric (JenEric Ramblings) at Homer Brewing Company, then we all went to Alice's Champagne Palace to grab a pretty incredible lunch: rockfish on a bed of curried vegetables and basmati rice. Yes, I'm that girl who photographs her food. But can you blame me? 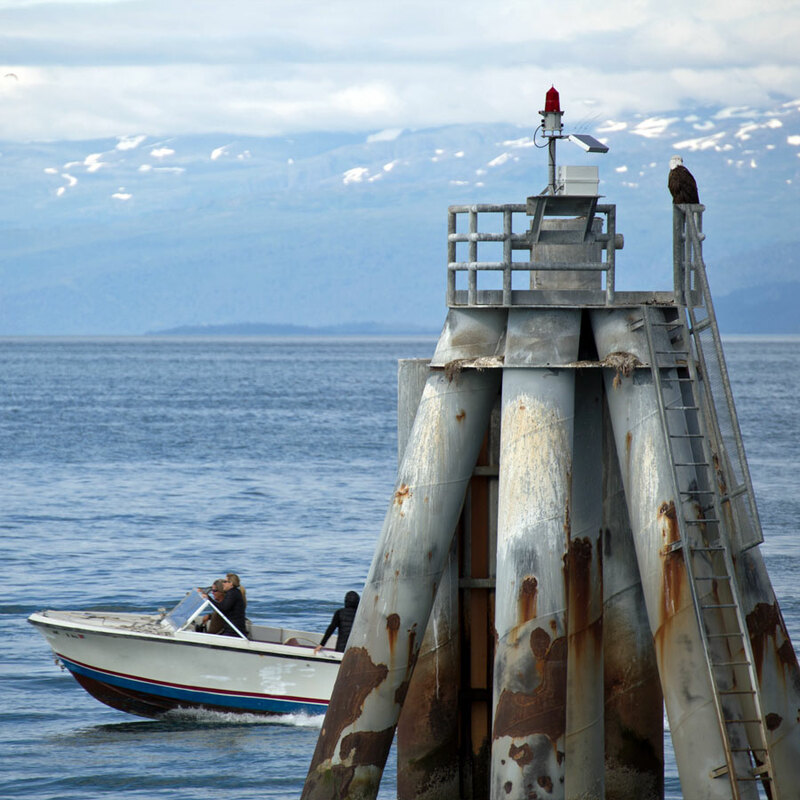 Then it was off towards the Homer Spit we went, passing by private docks on the way. When the road ended, it was pretty obvious that we had made it to the end of the Spit. If that indiciation didn't suffice, though, there was a pretty big sign. We parked our vehicles and hopped out to check out the views, finding them every bit as impressive as we had hoped. 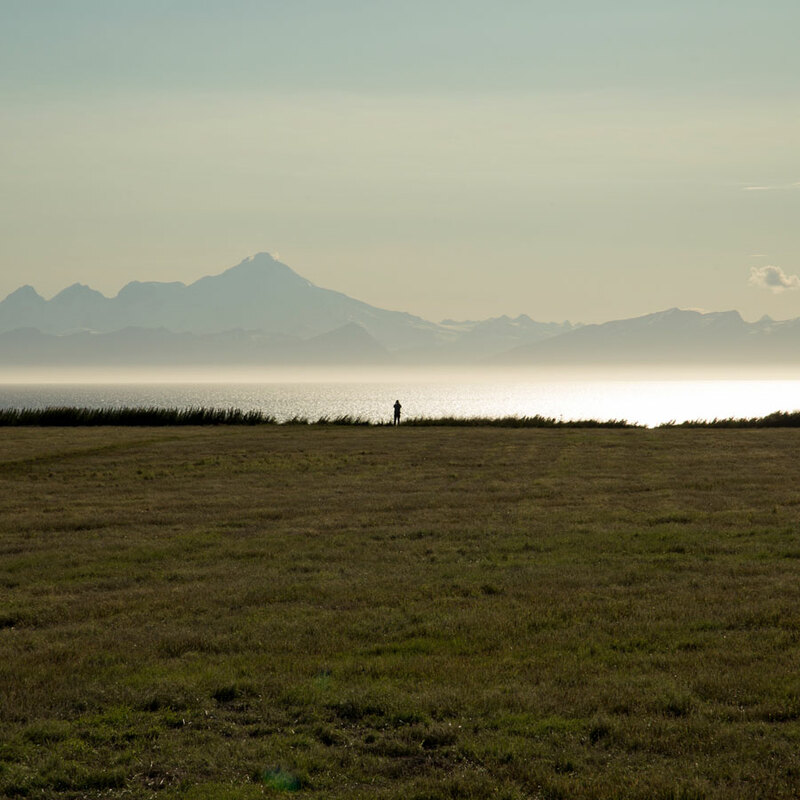 On our way back home to our RV in Soldotna, we stopped just one time to check out the sunset across Cook Inlet. All in all, a pretty solid day trip. 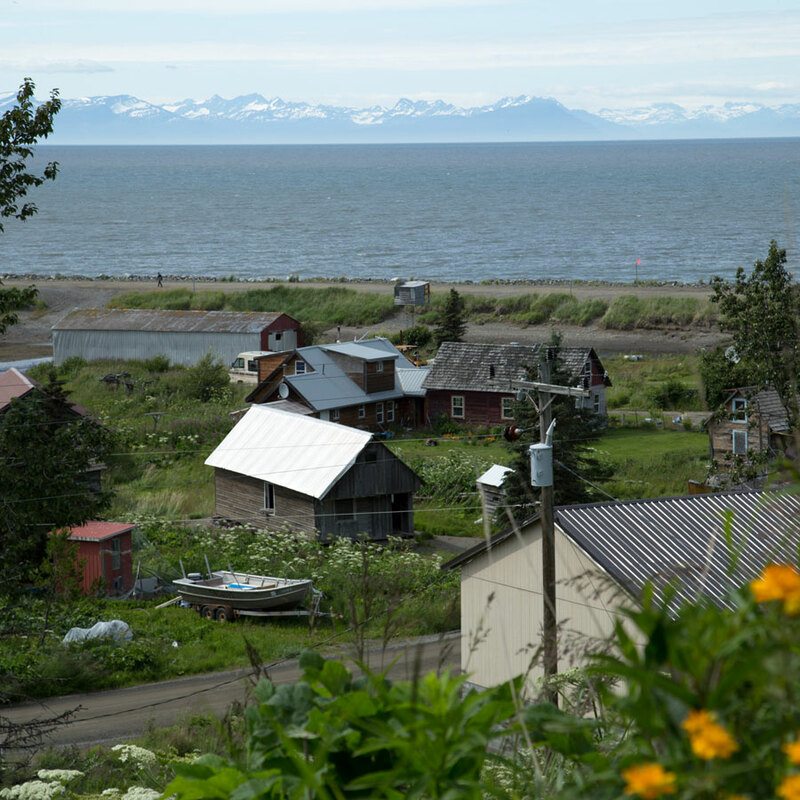 If you have been to the Kenai Peninsula, what's your favorite place to visit?